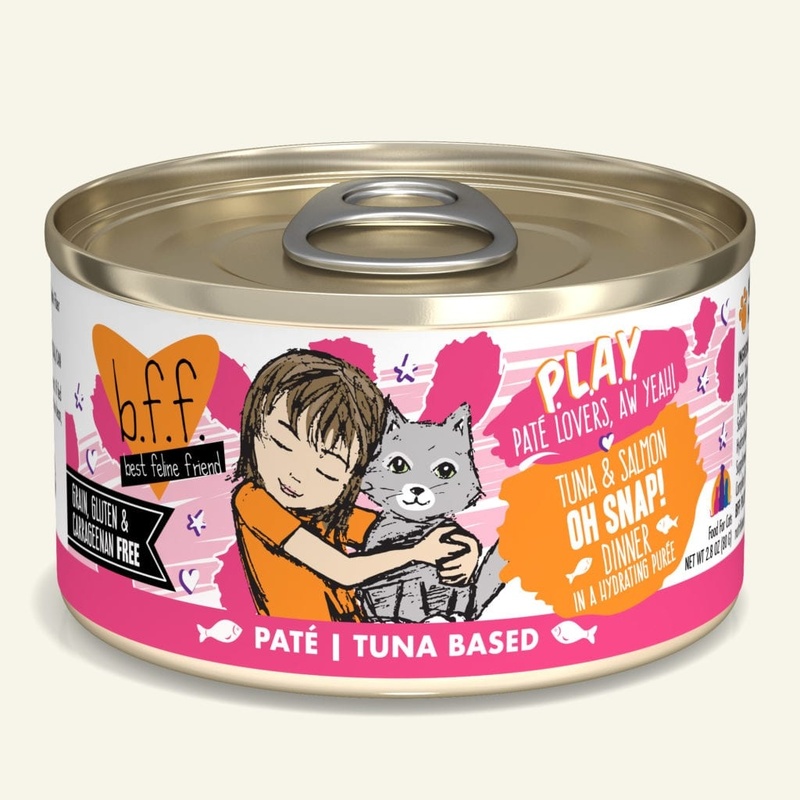 Home » BFF PLAY TUNA & SALMON OH SNAP! 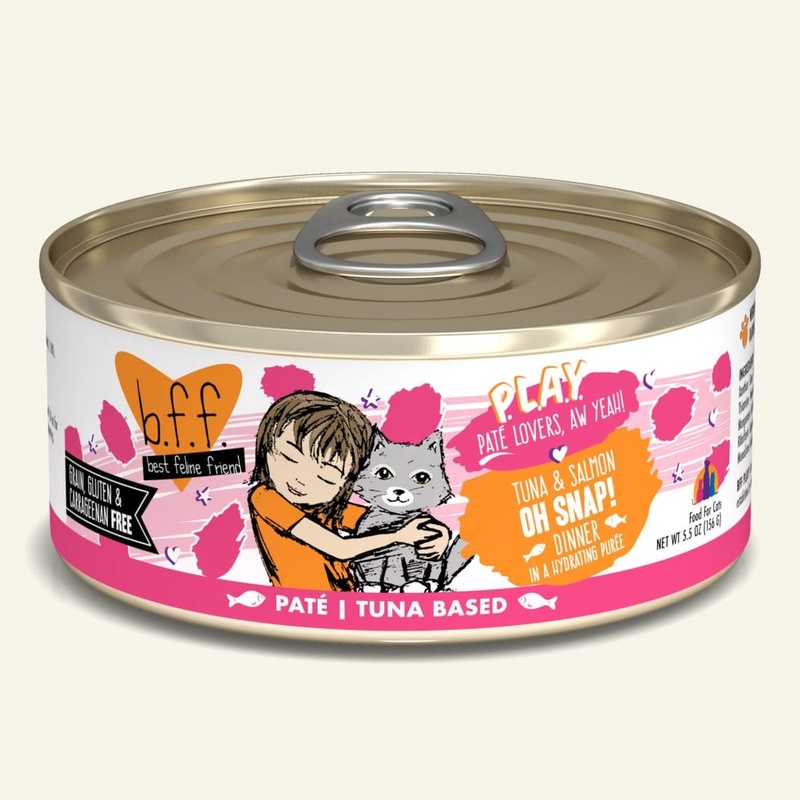 BFF PLAY TUNA & SALMON OH SNAP! When you set down your cat’s food bowl filled with this dinner, don’t be surprised if they meow, “Oh Snap!” and dive in! 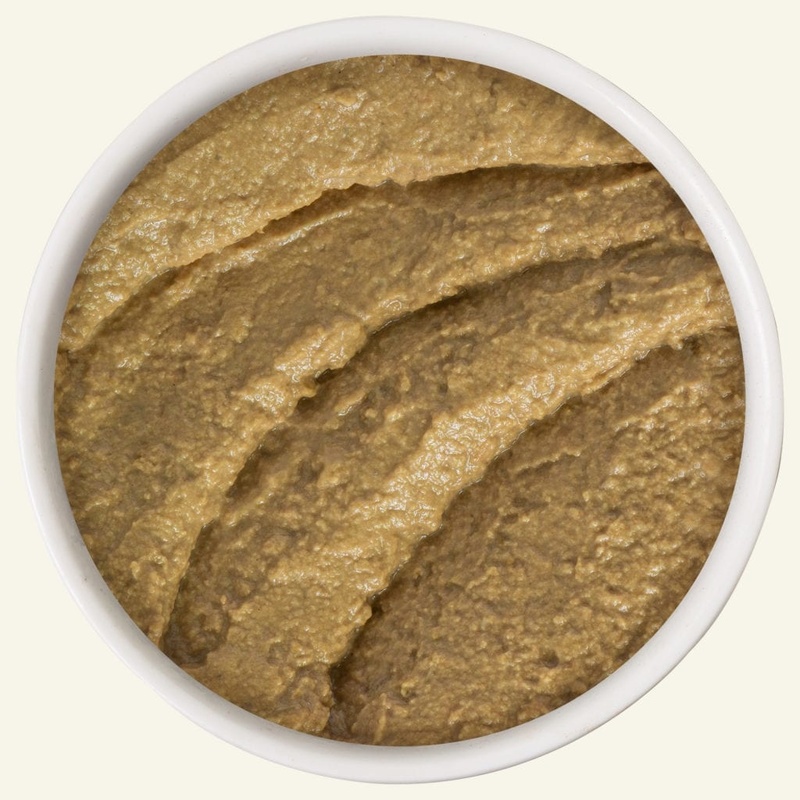 This creamy, tuna and salmon paté will excite your kitty as they nom it all up!